Only use the fine focus knob of all others. There are several reasons for this. First, the image moves in and out of focus too quickly, so that it is difficult to precisely adjust the focus. Second, you run the risk of crashing the objective into the slide. Use the coarse focus only with the 4x low power objective. 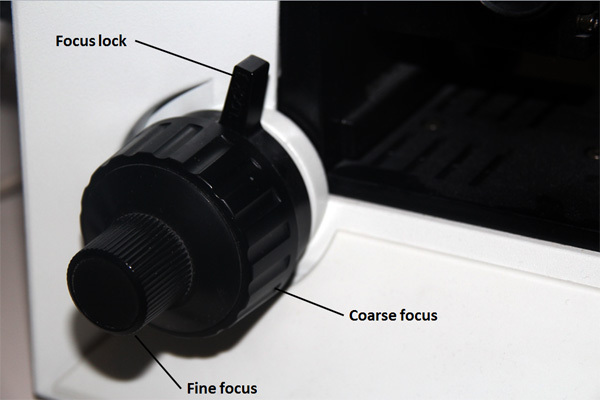 You can use the fine focus knob with all objectives.